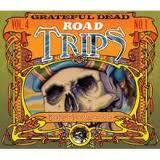 Recorded in May, 1969 at a Seminole Reservation in Florida, Road Trips Vol. 4 No. 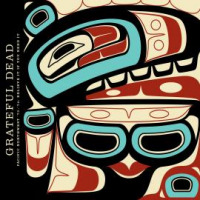 1 hearkens back to the first golden age of the Grateful Dead. 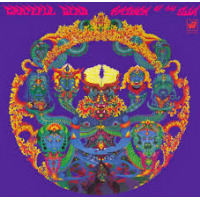 The previous twelve months found the group solidify its personnel lineup with the addition of drummer Mickey Hart, nurture a prolific songwriting relationship with lyricist Robert Hunter and hone a collective and individual improvisational sense, the chemistry of which allowed for what was to be the comparatively short-lived, but nonetheless significant inclusion of keyboardist Tom Constanten. All the while, Owsley Stanley's industrious nature took many forms, most productively in the context described above, by stabilizing the Grateful Dead's own sound system and formalizing its habit of recording its performances. No doubt mastering engineer Jeffrey Norman enhances the depth of detail obvious on these three CDs, but as with all such recordings, the source is the most important element. Small touches of percussion are clearly audible and bassist Phil Lesh's instrument has just the proper balance in the near-nineteen minutes of "Dark Star," taken from the first of the group's two headlining nights at the comparatively small Big Rock Pow Wow festival (larger festivals were yet to come in an era so succinctly described by Blair Jackson in his essay in the accompanying booklet). Of course, the cultural context, not to mention the above mentioned technical expertise and philosophical leanings, all fed upon the music the Grateful Dead worked so assiduously to create. Months of wood-shedding with Hunter and each other had borne their first clutch of compositional classics, all of which comprised much of their repertoire of the times and the bulk of their sets night in and night out during this phase of their career. Yet it's long before "St. Stephen" segues into "The Eleven" that a certain unpredictable ragged quality arise from the band's playing: on a punchy rendition of Otis Redding's "Hard to Handle," fronted by the inimitable Ron "Pigpen" McKernan. The founding member and vocalist of the Dead remained a prominent presence onstage, in the midst of the group's increasingly exploratory sensibility. The group's increasing openness to serendipity benefited from the structure of such songs (and the suites formed when played in sequence) just enough to contrast its earthy persona as a dance band. It's telling that the two workouts of "Turn On Your Love Light" on this archive title run longereach one clocking in at over twenty-seven minutesthan the shape-shifting improvisations on other originals such as "China Cat Sunflower." As presented on these vintage recordings, the Grateful Dead was well on its way to an all-around mastery of concert dynamics. 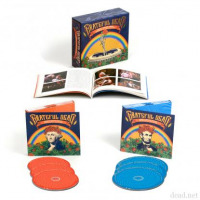 It's not quite entirely accurate to say performances like this one merely sowed the seeds for the continuing evolution of the Grateful Dead; it's more accurate to state the sound and overall approach of the group is in its first full flowering, as the 1960s it epitomized drew to a close. 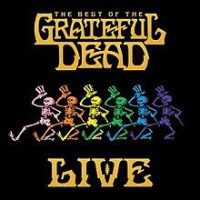 Personnel: Jerry Garcia: guitar, vocals; Bob Weir: guitar, vocals; Rod "Pigpen" McKernan: vocals, keyboards; Tom Constanten: keyboards; Phil Lesh: bass, vocals; Bill Kreutzmann: drums; Mickey Hart: drums, percussion.